Globe diameter: ca. 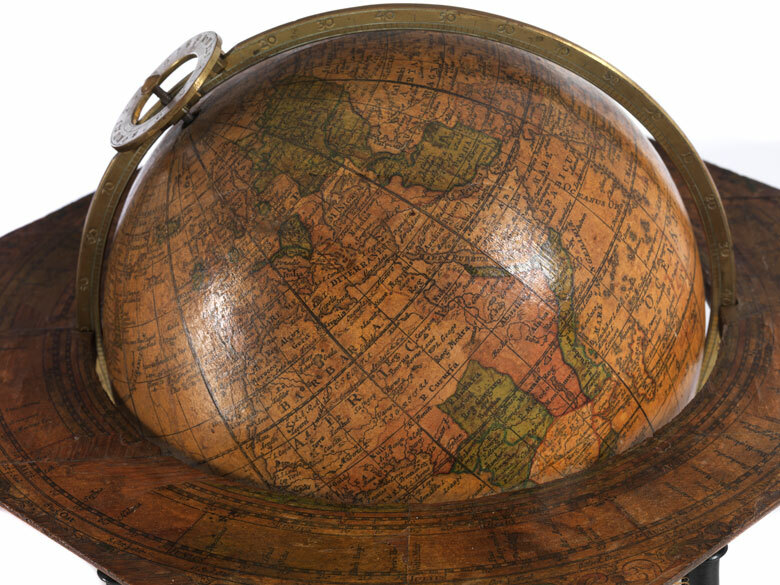 17 cm. 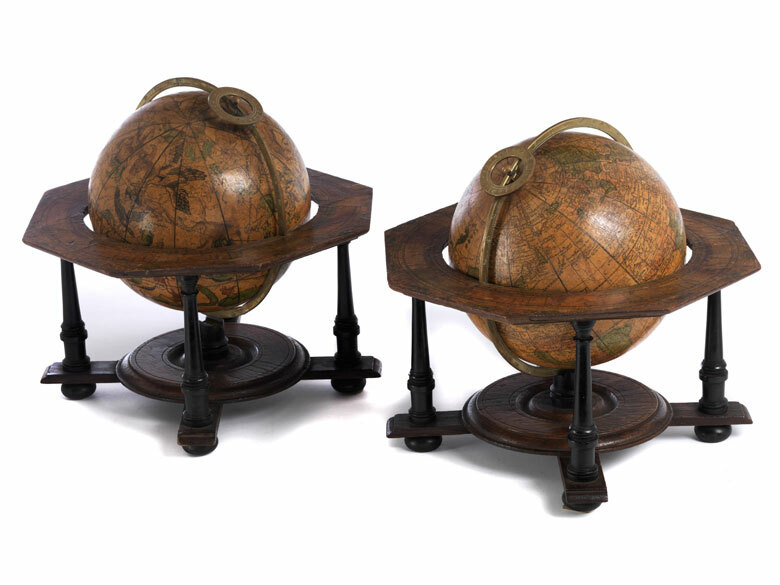 Earth globe and celestial globe of the same style. 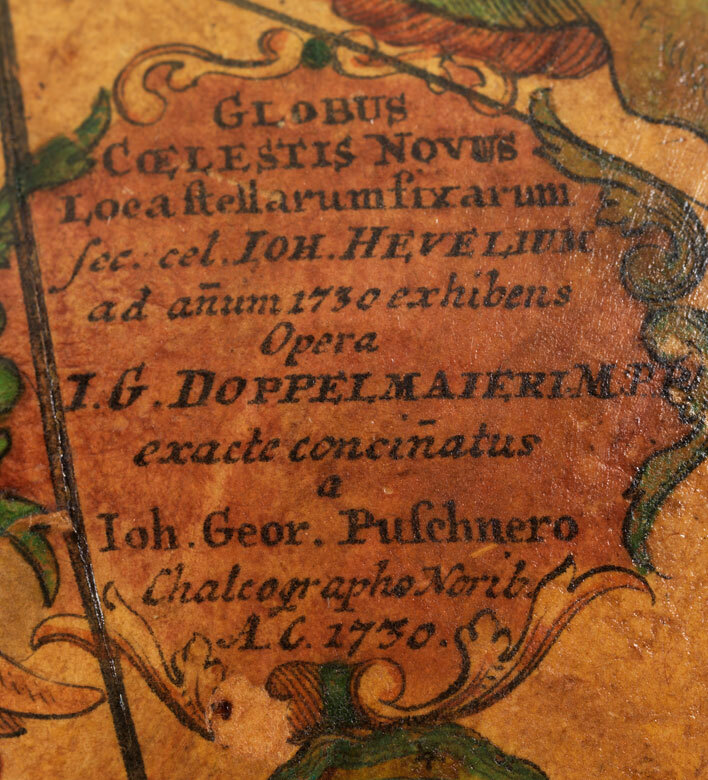 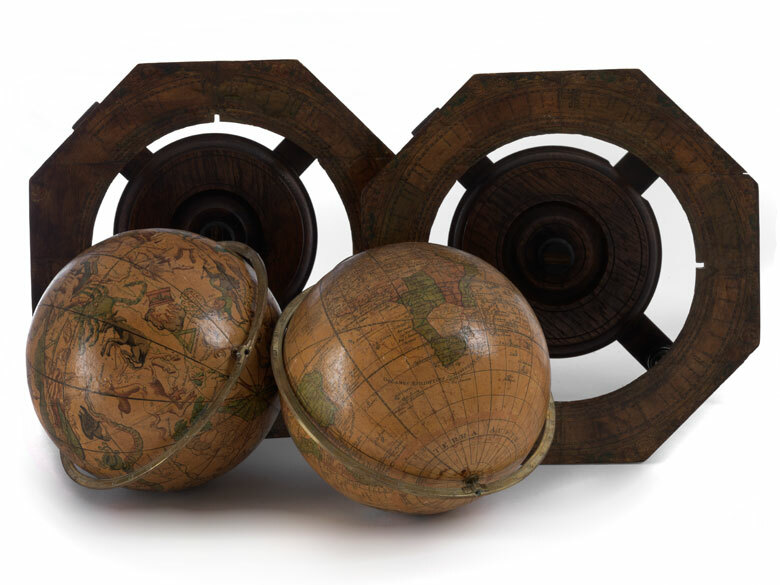 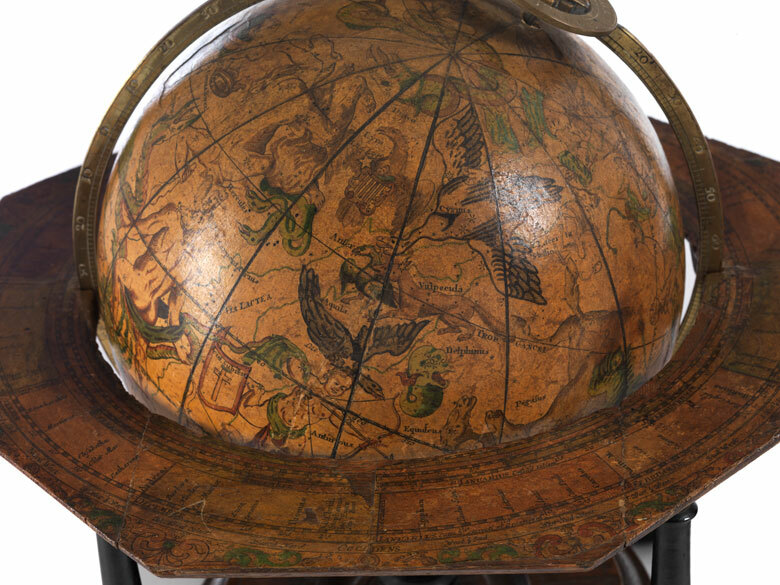 The maps are coloured, both globes with manufacturer’s cartouche inscribed “Globus coelestis novus (...) I. G. Doppelmaieri/ MPP/ exacte concinatus a Ioh. 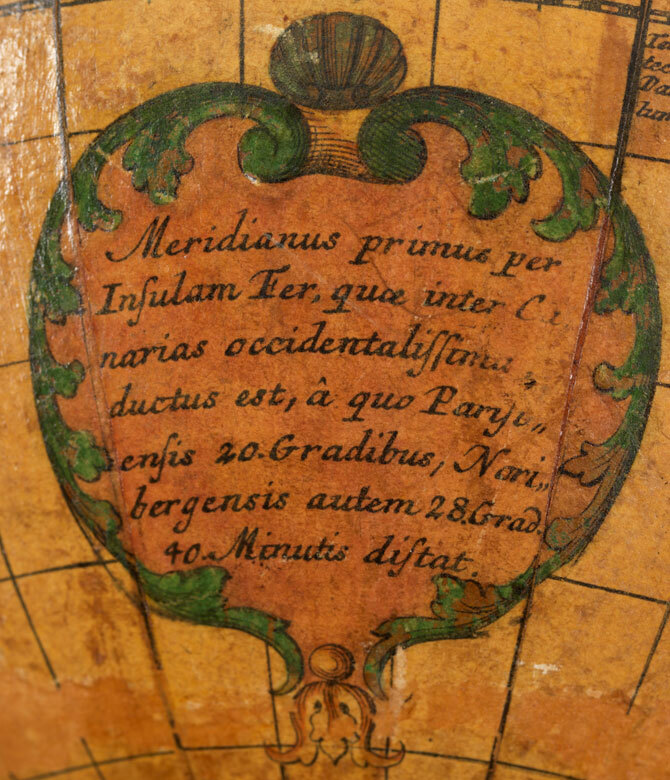 Geor Puschnero, Nürnberg 1730”.